Travelling just got more interesting. Whether it's by horseback, ATV, or pumpkin, you're going to want to make a pit stop in Harbour Pointe. 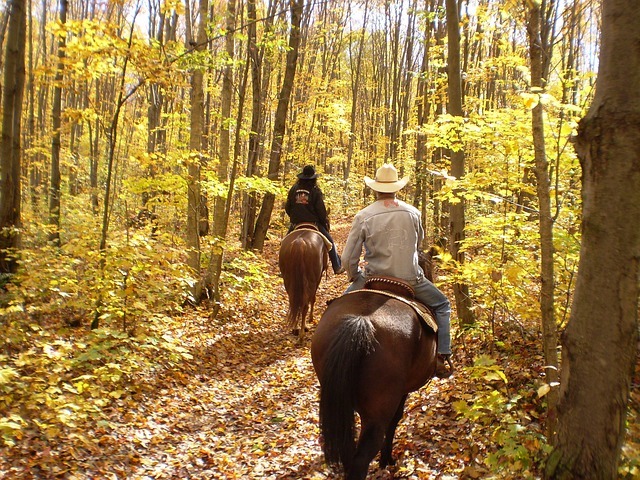 Explore the beautiful shores of the Great Lakes on horseback. In honor of the 20th anniversary of Mackinac Horsemen's Association, the organization is celebrating with a weekend of riding on Mackinac Island. From September 28 to 30, join Tom Seay and Kristen Biscoe, hosts of the Best of America, through the untouched forests of Mackinac Island State Park. Spend a crisp September weekend riding, taking in the views of the fall season. Register online and find more information on the route here. We'll cross that bridge when we get there - well now's your chance. From September 28 to 29, join a line up of ATVs that will be crossing Mackinac Bridge. If you don't have an ATV, or a three-wheeler, you can see what this unique sight from the sidelines. The ATVs will be heading north across the Mackinac Bridge through downtown St. Ignace, and north to Little Bear East Arena. Don't miss your chance to see a parade of ATVs, side-by-sides, off road motorcycles cruising on a bridge. Registration is $40 per driver and $25 for passengers and online registration closes on Monday, September 24 at 5 pm so register now! T'is the season. On October 27 - buy a pumpkin, then roll a pumpkin! Bring your friends, family, and pumpkin enthusiasts to enjoy a laugh and watch pumpkins roll down a hill. This simple activity is bound to be the highlight of your weekend. There will be prizes, treats, and award for best costume. After the roll is over, "Trunk or Treat" and walk through the Haunted Woods. The pumpkin roll starts at 4pm and the pumpkins will roll here. After a long day of travelling, Best Western Harbour Pointe Lakefront is your final pit stop. Sit back and enjoy lakeside views in the "bedroom of Mackinac Island." Fall is a popular time to travel to Mackinac Island and see the colorful leaves all around you. Book in advance to avoid disappointment, and most importantly, make the most of the fall season before winter sneaks up on us.